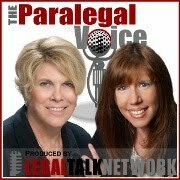 The latest edition of The Paralegal Voice, "What Attorneys Wish Their Paralegals Knew - and Vice-Versa" co-hosted by Lynne DeVenny and me, is now available at Legal Talk Network. In this episode, we welcome Kim Walker, a senior litigation paralegal for Berger & Montague, P.C. in Philadelphia, and blogger at Paralegal Pie, to talk about her recent Law.com article, “What Do Attorneys Wish Their Paralegals Knew?”. We discuss how paralegals can improve their legal technology skills, maintain the highest level of professionalism in the office, and communicate more effectively with their supervising attorneys. We also talk about what we wish attorneys knew, emphasizing how attorneys can better utilize paralegals in the practice of law. •Vicki talks about the importance of career-dressing, office etiquette and how paralegals can market their firms. •Vicki and Lynne share practice and social media tips.